In June 2009 I set out to drive Pan American Highway from top to bottom. Starting it Calgary, I drove North to Prudhoe Bay in Alaska, then turned south and drove all the way to Ushuia in Teirra Del Fuego, Argentina. I ended up selling my amazing little Jeep Wrangler in Buenos Aires, then flying back to Canada. The trip was everything I could have imagined and so much more. It changed my life. It’s too hard to have a “favorite place”, so I’ve listed some of the Defining Experiences of the trip. My fiance and I are planning to set out on a S.American adventure in January…we’d like to drive most of the time and I’m curious if you could shed any light on the vehicle sales/procurement process? (We’d like to pick one up down there and I understand it can be pretty tricky.) From what I’ve gathered, Chile seems to be the “easiest” place to purchase (from another foreigner). Have you heard similar? Any resources/websites/locations you’d suggest? Hi Tarah, Awesome to hear you are setting out on a big adventure! You’re going to have the time of your lives, I guarantee it. Have a look over each country in WikiOverland, The Encyclopedia of Overland Travel. Each country has a section on buying and selling a vehicle that will answer your questions. Steer clear of Argentina, as you won’t be able to take it out of the country. Good friends of mine bought one in Chile and drove it to Alaska (their blog post on how to do it is linked from the Chile WikiOverland page). If you find out more information that’s not in WikiOverland, please add it! Also, you’ll want to join the Facebook group called “PanAmerican travelers past, present and future” – tons of knowledgeable people that have done it. Ask to join and I’ll add you. All the best, let me know how it works out! Just watched your Jeep drive by my workplace in Dartmouth NS. I followed the web address, and was amazed by your unbelievable story. All the best, keep on truckin! hi dan. I read your story in my english book(american english file)and visite your website.i like travel and stay out home to night in camp inside the forest.your website is very intresting.i invited you come to my country.IRAN.iran is very intresting country for visit.my counry have see,forest,mountain,desert and very much sanctorum.you can come by your jeep from turkey or armania or iraq or azerbaijan. do you like visit my country? Thank you very much for the kind offer. A few friends have traveled through Iran and absolutely love it. They said the people are extremely friendly and it’s a beautiful place. One day I would like to visit, thank you. I found your site doing some search over the internet. Last August I drove NYC –> Boston –> Fairbanks –> Prudhoe Bay –> Seward –> Haynes –> ferry to Juneau –> ferry to Bellingham –> back to NYC. I am now considering doing NYC to Patagonia. Did you travel with US license plates? how did you find the experience crossing borders? Good luck and safe travels in Africa! Thanks for the comment and it sounds like you’ve already got the expedition bug! I’m happy to hear you went up to AK, I love that place! Haines might be the most beautiful place I’ve ever been in the world! You just get yourself stamped in, (maybe) buy some insurance then get your car temporarily in, and you’re good. WikiOverland has the details for every single country along the way – everything you need to know is all in there! Youre awesome I really would like to go on this road trip as well as drive around africa. What Jeep year model did you use to travel from alaska to south america? Was it a 2 door or 4 door? For AK->Argentina I drove a 2000 TJ 2-door and it was fantastic. They both have pros and cons for sure, it really depends on your intended location to travel, how long your going for, what the weather will be like, security, etc. etc. I’m an english teacher and my students read an article about you in the course book. They are amazed with your panamerican trip and how many countries you visited, also the have questions for you. – Did you stay in Guadalajara, Mexico during your trip? And if so, where did you spend the night and which places did you visit? – Which city did you enjoy the most? – How is your Africa trip going? – Did you use your car for everything? Or did you use other ways of transportation like bike or boat? We hope everything is going great in your Africa trip and we really admire you. Greetings and don’t think twice about coming to Guadalajara if you haven´t already been here. Hi Atzu and English class! – I did not visit Guadalajara during my time in Mexico. I took the coast road from Puerto Vallarta to Manzanillo, so I missed it. I will have to come back one day! – In Mexico I visited many great cities, and the highlight was Tehuantepec where I volunteered and taught English. I made many good friends there and had a really good time. – My Africa trip is going great! I have met many beautiful people and see many beautiful places, I’m really loving it. Hopefully I will see an Elephant or Lions soon! – I use the Jeep most of the time, though sometimes I ride a bike, or catch a boat if I want to get out to an island. Sometimes in the very busy cities I will take a taxi or moto-taxi – it’s so much easier! Thanks for the questions and the kind message! I will come back to Mexico one day, I really loved it there! I have communicated with you at one of the Jeep forums. You are very accessible to the people you inspire. That is cool. When I took my motorcycle to Alaska this past summer everyone who took the trip before me said, “Don’t over plan. Pick your basic route, the sites you want to see and just go or you’ll never do it.” Obviously Washington State to Alaska only passes through Canada which is an easy, friendly border but I think the advice has merit for even an around the world trip. 1) Getting Visa’s before I leave or get them at the borders. 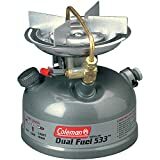 2) Did you plan gas stops along routes or just figure if there are other cars on the road, they’ll need gas as well and figure you’ll run across them as needed unless you are way out in the boonies. 3) Did you do the same for lodging? Maybe at “spring break” in popular beach areas one might need to make a reservation weeks in advance but I’d prefer to skip those places at that time in general. I have heard the expression process paralysis and think that can apply to any major undertaking. For me the bottom line is that a six month or greater trip is going to have its ups and downs and I just need to be flexible and go with the flow and really let go of trying to plan and control every detail. Thanks and keep on exploring. Thanks for the thoughts and comments! I’m really happy to hear you are looking into your own adventure! I love hearing from people getting out there. Checkout http://wikioverland.org – you will find it extremely helpful! My personal approach is to plan the least amount possible – that way you are not locked into a plan, and you don’t get all stressed and worried when it doesn’t work out. Remember you’ll be meeting tons of great people and seeing great places – so maybe you’ll want more time there than you planned. On the flip side you might get somewhere that you don’t like, so you’ll want less time there. The less planning you have done, the more flexibility you have to modify the trip on the fly. 1) You don’t need visas for any country except maybe Brazil, and you get it at the border. Don’t stress, the borders are easy if you take your time and keep you head on. 2) It’s extremely, extremely rare you’ll need to go more than 150-200 miles between gas stations. They are plentiful and you don’t need to worry. Only if you really, really want to get off the path (salt flats in Bolivia) will you have to plan ahead and think about it. The stock tank in my Jeep gave me a range of ~350 miles, and only twice on the entire trip was it not enough. Other than those two times, I never thought about gas availability. Remember, have fun, don’t tank it too seriously and have the time of your life!!!! All the best, I would love to follow your trip somehow. Let me know how I can! Thank you for your inspiring website. Due to this my girlfriend and I are thinking/planning to do the pan american road with a Jeep Wrangler. – you have customized your jeep for Africa, but what about the payload which is far less than s landrover Defender? – did you had any issues with your Jeep in South America? And where there enough mechanics that could help you with issues or/and Jeep parts? Hope you can help us with some advice. Great to hear it! That is awesome you guys are looking to hit the road! Vehicle choice is a very personal thing – there is no “perfect”, only what works for you. Are you thinking of buying in the Netherlands, or when you arrive in North America? Keep in mind Land Rover Defenders almost don’t exist in North America, and you can’t get a diesel land cruiser either. As for your direct questions. 2. No issues of any kind. The jeep was perfect reliability wise. There are mechanics around, though Jeeps are not super-common in Latin America. Toyota is number 1 for sure. 3. Whatever you can get, or already have is perfect. Rather than focus on the brand, think about your sleeping, cooking, eating, storage and all of that. It’s much more important than the badge on the front! You look like you had a wonderful adventure! I am upgrading my Jeep now to make a trip to South America in 2018! I love your post and will continue to read about your experiences. This is all new to me so I appreciate any and ALL advice! Please don’t hesitate at all to reach out for anything, I would love to lend a hand any way I can. Are you posting photos online anywhere? I’d love to follow along. All the best and have a great time! Found your trip whilst planning my route through the Americas. So inspiring! My partner and I are planning a big trip from London (my hometown) to New Zealand (his home) in 2018. After 2 stops in US we hit Mexico (Tulum) and are making several stops through central and south America. We’ll probably exit from somewhere in Peru or Bolivia. How quick is driving vs flying do you know, and also can you give me an idea of cost and safety of driving? We’re keeping to a fairly strict budget (if we can) so also wonder if buying a car in say Mexico is the way forwards over renting one in each country we visit. Any thoughts you can share on this would be amazing. And now I’ve found your Africa trip too I’ll be sure to follow along with that as well! 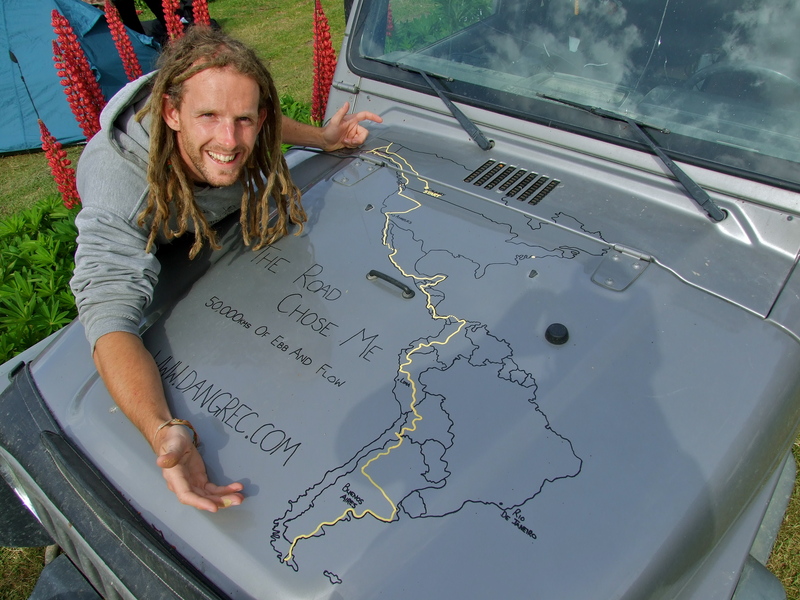 Keep up the inspiration dude, and if you’re ever planning a drive in NZ let us know! Thanks for the kind words, it sounds like you have an epic trip in front of you! You’re asking some big questions that come down to personal preference and wants and needs. Having a vehicle is great, but it does have downsides. Buying and registering one in a foreign country is not simple, and you likely won’t be able to sell it easilly is some other foreign country (not legally anyway). Most people spend something like $1500/month for two people in a 4×4, for everything. Food, camping, gas. If you wild camp (free) and cook all your own food, you could make it cheaper. Driving your own car is not about speed – of course it’s faster to fly. It’s about seeing everything along the way. Safety is a consideration, though hundreds of people drive the Americas without incident. Let me know if you have any more specific questions! I feel both challenged and motivated reading about your PanAmerican Highway adventure. i was wondering if a Class B motor home such as a Roadtrek or Winnebago Travato / Revel would be a appropriate vehicle. These vehicles are almost 10 feet tall – would that be an issue shipping around the Darien Gap to South America? I live in Ajax Ontario and hope to do the PanAmerican Highway after retirement ( I am in my fifties). One of my challenges is convincing my wife for the trip -hence the choice of RV over 4×4 SUV. Plenty of people have made the drive in a massive motorhome. It will mean you are limited to choice of road (stick to the major highways) and shipping around the Darien will be EXPENSIVE – think $5000+ – , but yes, it certainly can be done! All the best in your planning, let me know if I can help with anything specific. Wauw! That was the most amazing experience you’ve had there! My boyfriend and I are actually planning almost the same trip from: driving from Canada (maybe Alaska) down to El chalten, Argentina. We would like to get a van somewhere up north. – Buying a van in the neighbourhood of Seattle USA. Do you know if both are possible and if so, what will be the easier option to get the car later across all the borders and possibly selling it in Argentina? Thank you so much already! Awesome to hear you are going to hit the road! You should go up to AK for sure, it’s amazing ! Make sure you get an actual tourist visa for either Canada or the US, it should be good for 6 months. As for selling, you can’t really do it legally in Argentina (or Chile) , other than to another foreigner… so don’t plan on getting lots of money back for it. Think of anything you can get as a bonus! All the best, please update any info you see is out of date per country in WikiOverland! Thank you for the info! We will update the info! thank you! Awesome! You are in for the trip of a lifetime! One tip – make sure you get a “real” 6-month (or more) visa for wherever you are going to buy the vehicle (USA or Canada)… they really don’t like to let you register a car when you’re only on a visa waiver and you want that part to be easy! Fire away with any other questions you have, I’m happy to help in any way I can! I have read a ton of your post and watched nearly half of the videos on your current trip, and have fallen in love with the idea. I myself am planning a trip to all 50 States here in the USA. I wanted to let you know that you’re storage system in the TJ was an amazing mod and I am in the works of doing the same mod in my 2001 with the only change being a 10 inch subwoofer mounted in the front! Once I get this mod done and finish my first year of college, Ill be spending my next summer attempting all 50 States (minus the 8 I’ve been too) in 2 1/2 months!! I am only 18, but my goal is to see the whole world before I die. Let me know what your thoughts are on the subwoofer and my trip. Best of luck in Africa and maybe I’ll follow your trail one day! That sounds like a brilliant plan! The USA is stunning and there is a lot to see! You will love, love, love Alaska and the drive up – when I’m back there I live basically ON the Alaska highway. I’m sure the sub will provide hours of great tunes too! Have an awesome time, please let me know if you’re posting photos online anywhere, I’d love to follow along. Hey, Your job is great! Don’t you feel lonely sometimes? Absolutely, yes, sometimes. I actually wrote a whole chapter about it in my book! I AM AMAZED BY YOUR ADVENTURES. I AM PLANNING TO DO THE PAH IN 2020. I LIVE IN BORNEO MALAYSIA. I AM PLANNING TO DO IT LIKE YOU DID START FROM ALASKA. DO YOU THINK I CAN BUY A USED CAMPERVAN THERE AND DRIVE IT ALL THE WAY SOUTH TO ARGENTINA. I AM NOT A US CITIZENS. APPRECIATE YOUR KIND ADVISE. Yes, you can buy something in Alaska, even as a foreigner. There will be more choices, and it’s easier to do in Vancouver, Canada. Personally, I’d start from there! Good luck, you will have a great time! I BOUGHT YOUR BOOK AND READING IT . AMAZING AND INSPIRING. DID YOU DRIVE UP NORTH AFTER YOU DROVE SOUTH TO THE TIP OF ARGENTINA OR IS THERE A WAY TO SHIP THE CAR TO CANADA OR THE USA. Thanks for the support! It’s all explained at the end of the book! The most “important” question for me is about the car. How safe is to drive your car in Mexico, Africa? Is it safe to leave it overnight? No breaks in? What are the chances to have your car stolen or damaged??? Safety is obviously the number one question and consideration, but I personally have never had a problem and have always felt very safe. At this very minute there are thousands of people driving from Alaska to Argentina, and around Africa too. Obviously some have break-ins and problems, but it’s extremely rare. Many Overlanders genuinely feel safer in Central and South America than they do in cities in the USA! Getting the car stolen is extremely unlikely. Because it has foreign plates on it the locals can not drive it, and they would be arrested at the very first Police checkpoint and thrown in jail. For parking I don’t like to leave it on the street at night, I usually find secure parking for a dollar or so. But of course, the decision is yours.